You need a little pick me up! 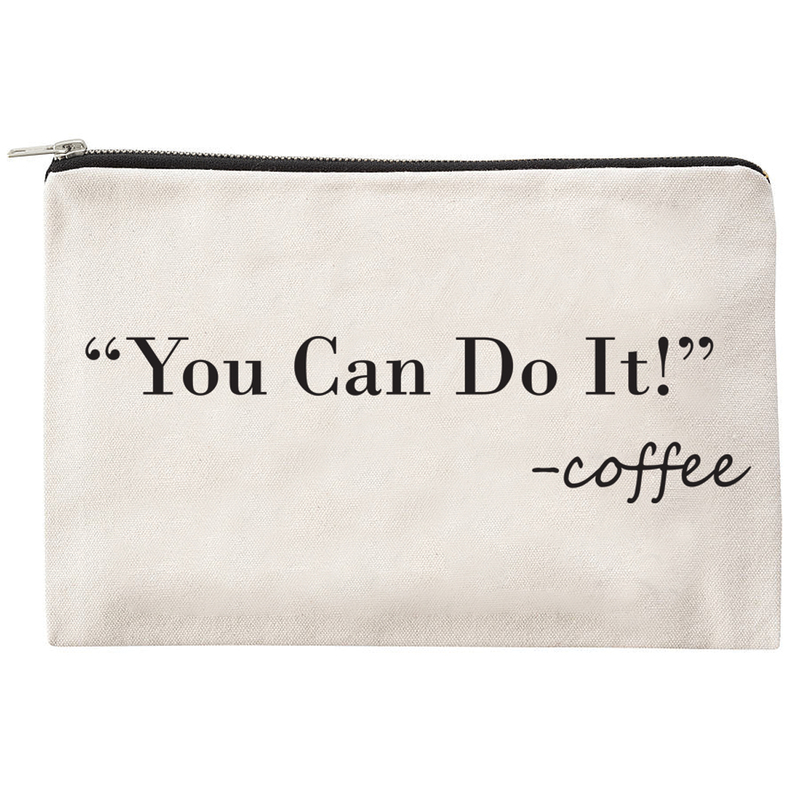 Cotton canvas bag helps you get through the day by holding what you need while reminding you to keep going. Great for makeup bag or perfect for essentials when you are on the go! Measurements (approx.) 6 1/2" x 8 5/8"